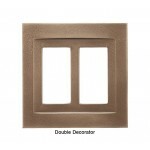 Designer Roger Questel’s Signature classic bronze wall plates provide an earthy, warm glow that offers a beautiful accent to virtually any room. 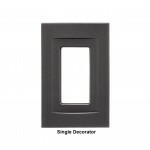 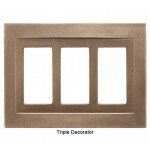 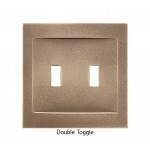 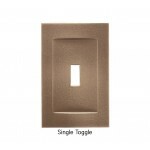 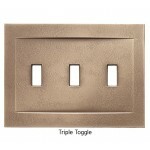 These classic bronze wall plates have a clean, sculpted surface that has no visible screws. Powerful magnets are used to attach easily to any light fixture or electrical outlet. Bronze is the earth tone of metals. It blends with the natural variations of stone as well as wood. 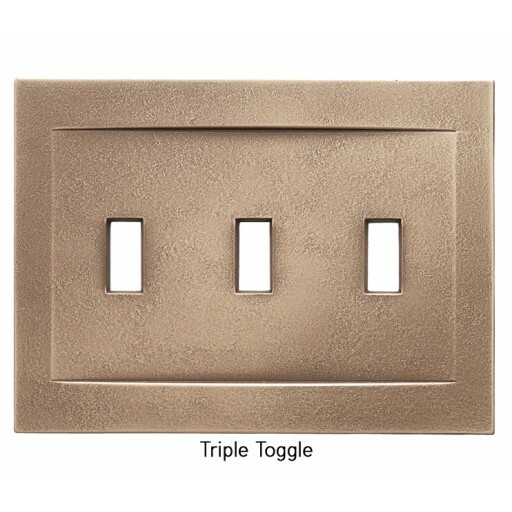 It is the bread and butter of accent colors. 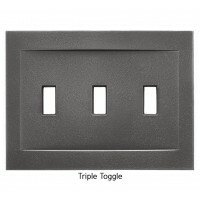 Triple Toggle: 5" x 6.75" / .65 lb.